Fabric, Fibers and Fun is hosting a Quilt Trunk Show and Lecture at the Crawford County Council on Aging on Tuesday, April 16 at 7 pm. 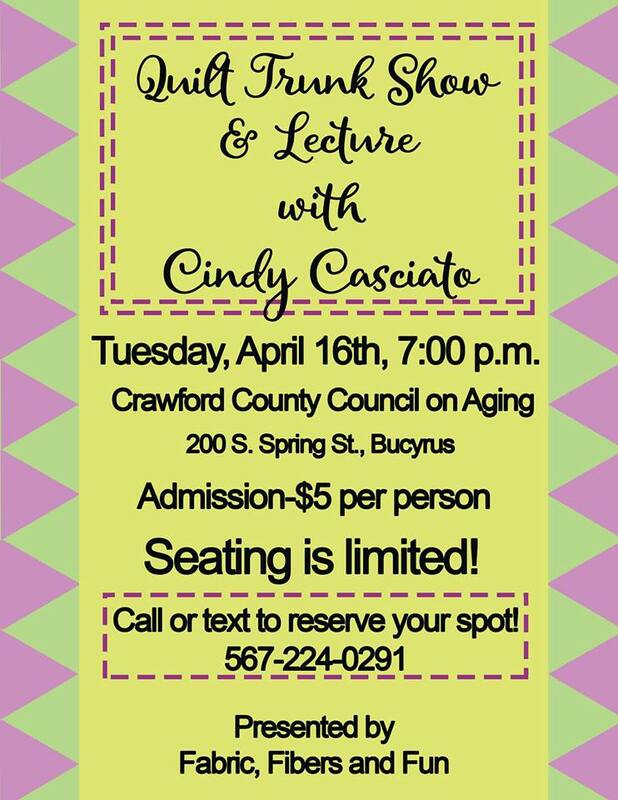 Renowned quilter and author Cindy Casciato will be giving a trunk show and lecture promoting her newest book “Behind the Seams.” Seating is limited, admission $5 at door. Call or text to reserve your spot – 567-224-0291.